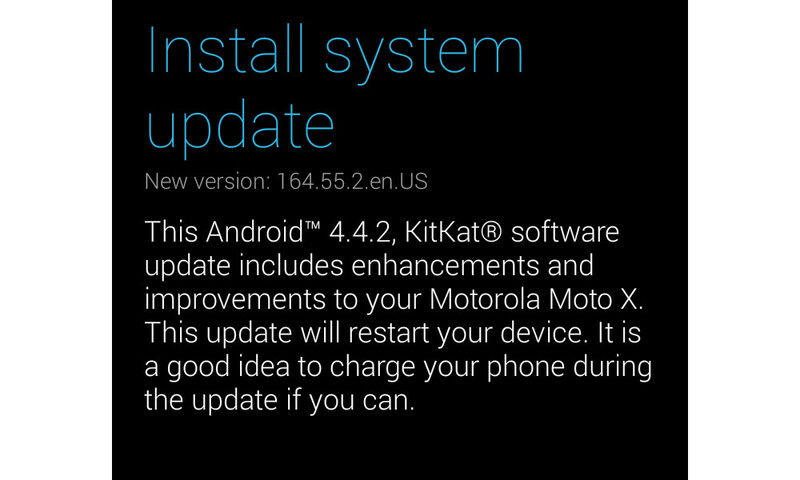 At the end of last week, just as the soak test for a new software update was beginning on Verizon’s variant of the Moto X, Big Red fully approved the Android 4.4.2 update by publishing a changelog. Here we are not even a full week later and the update is rolling out to the masses. The update was waiting for me as I awoke this morning, along with a couple of dozen emails from readers who had received the same love. The update is by no means a big one, but it does bring you up to the newest version of Android, something very few Android phone owners can lay claim to. You’ll see improved connectivity while roaming, an improved dialer, battery life enhancements, the new version of Isis Mobile Wallet, and more. Cheers D, A, P, D, N, W, D, D, G, S, J, K, R, M, R, S, K, J, R, and everyone else!